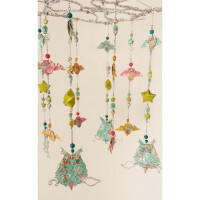 Beautiful, decorative, origami mobiles for anywhere in your home! 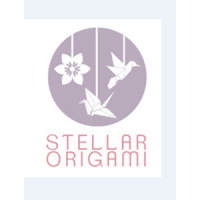 Welcome to StellarOrigami! 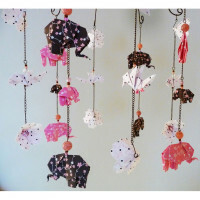 I create unique and eye catching origami mobiles, and every element that goes into each piece is completely handmade by me. 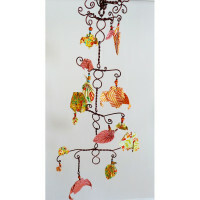 All my mobile are handled with great care and a lot of detail goes into every one I create. Prices on each piece as based on; materials, research, and processing time. I take pride on the craftsmanship and creativity and if fills me with joy that an amazing piece of art will be admired for years to come! Add a little uniqueness to your little boy's room with this one of a kind, handcrafted, origami m..
Add a little uniqueness to your child's room with this one of a kind, handcrafted origami baby mo.. 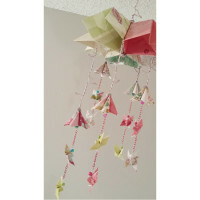 This gorgeous handmade origami baby mobile will make a great addition in your little girl's room ..